With NBA trade season upon us, here is a list of the Nets salary cap situation and assets. This list does not provide any opinions or thoughts and is merely intended to provide the facts, only. Where players are listed by position, their salary is in parentheses. Where players are listed as free agents, their cap hold is in parentheses. A cap hold is a placeholder value for a free agent wherein, if the player is not renounced, the placeholder figure counts against the salary cap, until the player is resigned or signs elsewhere including a RFA like Russell signing an offer sheet (or until the player is renounced). If the player is resigned, their new contract replaces the hold. And, because of the cap hold, the Nets can exceed the cap to resign the player. If the player is renounced, the Nets still can resign the player – however, they cannot exceed the cap to sign the player. It is as if the player is the free agent of another team. With that explanation of cap holds, on to the data. 2018-2019: the Nets are over the cap. Salary Cap: $101,869,000 cap. $115,959,540 in commitments. What this means: the Nets, with their roster at this point, are over the cap, but under the luxury tax of $123.7 million. This means that, in trades where they receive under $6.53 million, they can receive 175% of any outgoing salary + $100,000. In trades where they receive $6.53-$19.6 million, they can receive any outgoing salary + $5,000,000. In trades where they receive $19.6 million plus, they can receive $125% of any outgoing salary + $100,000. Finally, all Nets can presently be traded except Joe Harris, who can be traded as of January 15, and Spencer Dinwiddie, who can be traded as of June 13. 2019-2020: 6 guys, 11 free agents. $65,802,560 in space. Salary Cap: $109,000,000 projected cap. $43,197,440 in commitments. $65,802,560 in space. What does this all mean? A lot. First off, the Nets have six players under contract (together with the dead Deron money — that money cannot be moved). From there, the Nets presently have two first round picks: their own pick, and Denver’s, if it lands from 13-30 (if it lands 1-12, the pick does not convey, and rolls into 2020). Unlike second round picks, there is a cap hold for first round picks, at 120% of the rookie scale. Like player salaries and dead money commitments, the rookie cap holds are on the ledger, and eat into cap space. The pick hold can rise or fall, as the higher a pick is, the higher the rookie scale salary is. As a result, the Nets have eight players on the cap – the signed six, and the two picks, if they choose to renounce ALL of their free agents. If they do, since players on the cap, including cap holds, fall short of 12, the league assigns an incomplete roster charge for all shortfall spots below twelve — in this case four charges. The above chart assumes the most space possible, which only occurs if Crabbe opts out, and the Nets renounce every free agent they have. That result would yield $65,802,560 in space, including the rookie holds and four incomplete roster charges. Manipulating cap holds will create for interesting scenarios. For example, even if the Nets want Dudley back, we can all agree he is not worth $14,295,000. Consequently, the Nets will almost definitely renounce him. Remember — they can still resign him after renouncing him. All it does is remove his hold from the salary cap. What about Russell? Obviously, that is a much harder question. But, suppose the Nets and Russell agree to a deal starting at $14 million in year 1. If they do, since his new contract would be smaller than his hold, it would make sense to have him sign the deal QUICKLY – the Nets would gain cap space by replacing the hold with the smaller contract value. The opposite was true last summer with Joe Harris — he was receiving a raise from his hold, so it made sense to sign other players first to eat cap space, then use early bird rights to sign Joe at a figure over the cap. Another potential incentive to sign Russell quickly, if the plan is to sign him? Avoiding an offer sheet in excess of the hold. 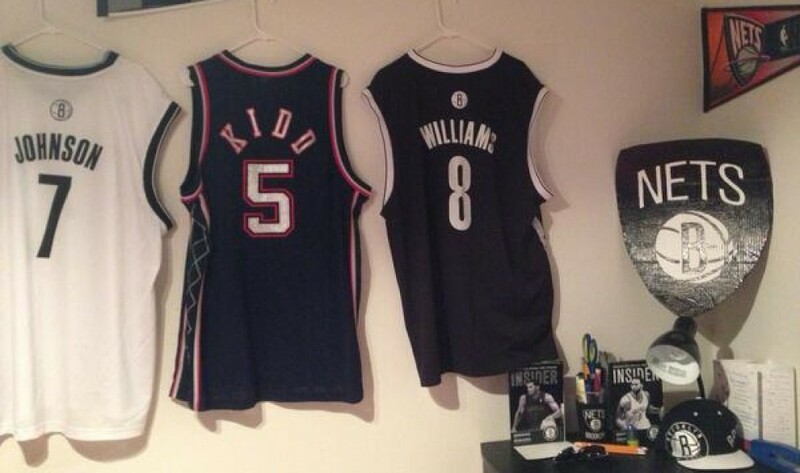 But remember: if the Nets keep a player’s cap hold on their books, they must work around the hold. For example, if they do not renounce Russell, his $21,059,095 cap hold will count against their cap space. The Nets would deduct that figure from the $65M plus figure (but, since one incomplete roster charge would go away, there would be a tiny offset). Ultimately, Marks will endeavor to use as much of the cap space as possible on good players. Happy trade season and summer!